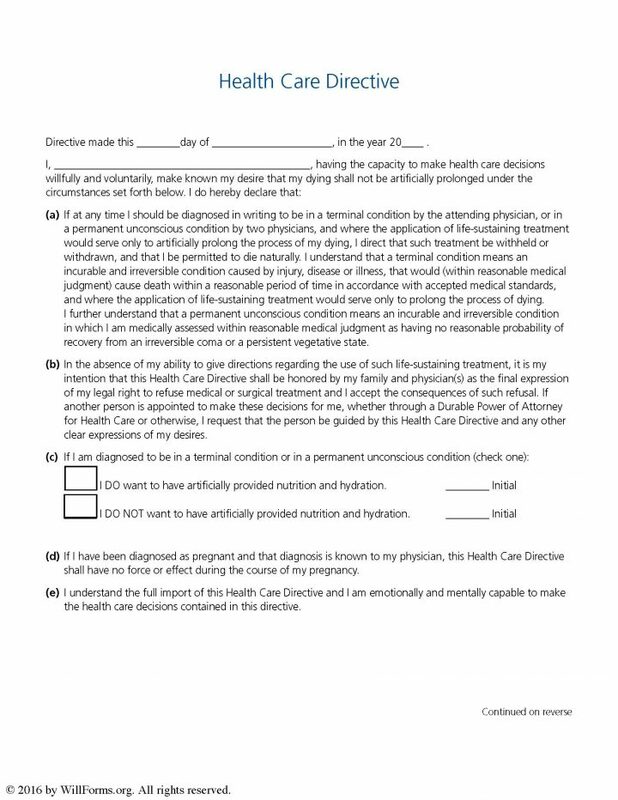 The Washington advance health care directive(living will) is a legal document that is prepared by a person (Principal) who would like to simply state their end of life decisions in writing, while they are of sound mind, so there are no questions with regard to the medical options they would select when they are no longer able to make their own decisions. The Principal will have the option of selecting and naming a health care agent to assist physicians in the end of life process. The health care agent will be obligated to ensure that the Principal’s wishes are honored throughout the process. Until that time the Principal may change or revoke the document as they choose.